April 2, 2019; Singapore – OneAgrix co-founder Diana Sabrain has been invited to speak at the Horasis Global Meeting on Sunday, April 7th in Cascais, Portugal. Sabrain will join an illustrious panel of experts in the food industry as she discusses the topic “Fixing the Global Food Chain”. The entrepreneur will be joined by fellow leaders in the food industry along with representatives from Temasek, Pepsico, and Cargill Tech Ventures. The elite discussion will give Sabrain the opportunity to express her expert knowledge on the USD 2.55 trillion halal sector. 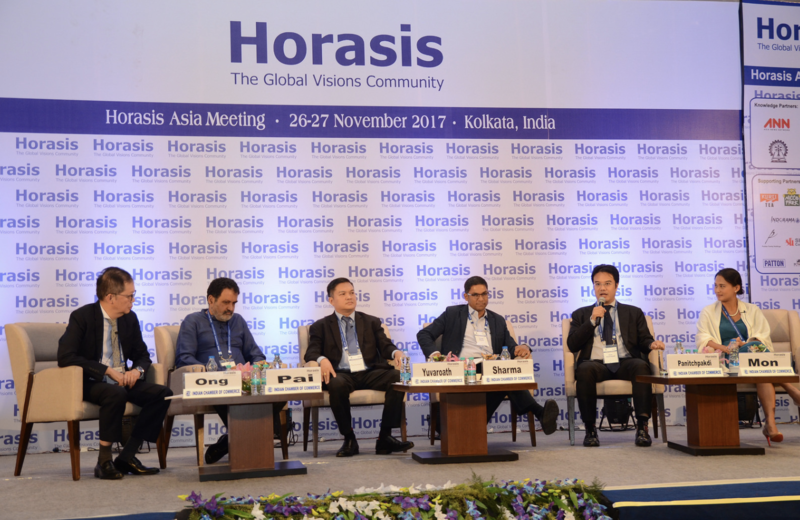 Sabrain was a guest at the Horasis Asia 2018 meeting in November of last year. She joined a six-person panel for the event discussing topics affecting the Asian continent. The Horasis Global Meeting will now give Sabrain a larger stage to speak with experts in the food industry about global affairs. Launched in 2018, OneAgrix is a global trading marketplace for sourcing certified halal ingredients and food products. The company uses Fourth Industrial Revolution technology to ensure customers are able to procure, pay, and ship orders to customers around the world. Sabrain’s invitation to participate in the “Fixing the Global Food Chain” panel shows the incredible growth of OneAgrix in the food industry since its founding. According to studies from national academies of science and medicine, the world’s food chain is broken and a massive overhaul is needed to sustainably feed the world’s population. By 2030, the food industry must meet the demand of 9 billion people globally with a quarter of the population being halal eaters. The panel will discuss the food demand issue along with other topics including the eight mega trends facing the world’s food chain, food safety, and emerging economic markets.